Fangirls, I’ve been on a huge Steven Universe kick. I watched the whole series through a couple weeks ago, and I’m rewatching it now; I can’t get enough of it. One of the ways I experience SU when I’m not watching it, is by listening to the absolutely amazing music by Rebecca Sugar. But it’s not available on iTunes, so what’s a Fangirl to do? 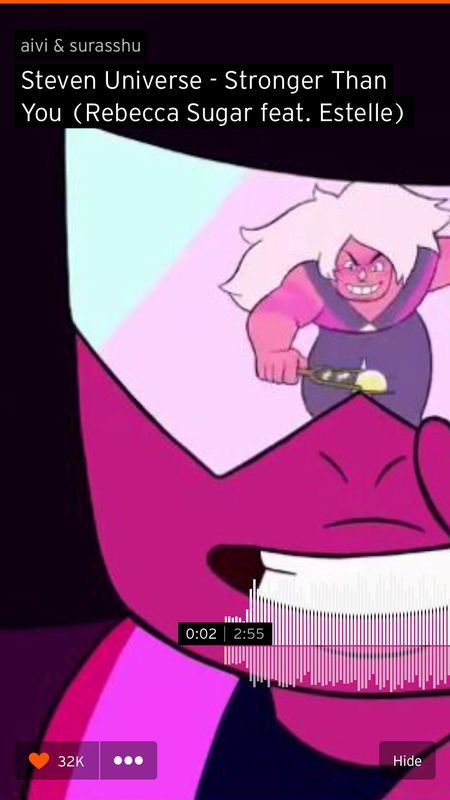 SoundCloud, ladies and gents, is an absolutely wonderful website that has free streaming for a ton of music, including all of Rebecca Sugar’s stuff. And even better than the site is the app! I know with iPhones, a lot of streaming services don’t work with just the site, so there’s an app for that. I have SoundCloud on almost constantly while I’m home. 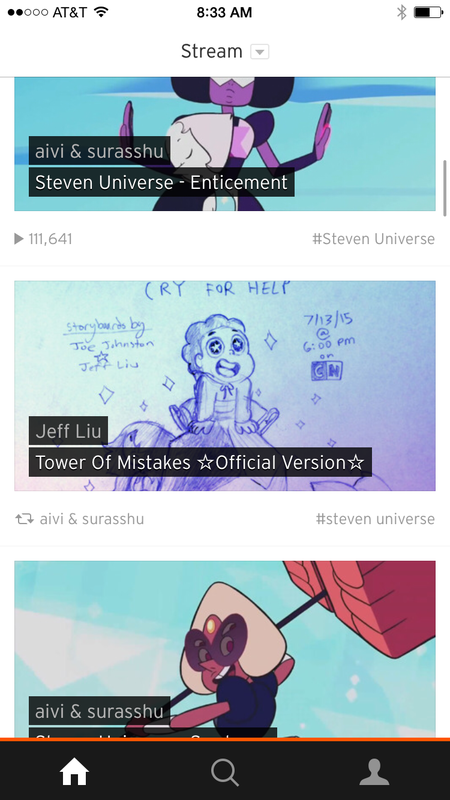 I definitely am not using SoundCloud to the full extent of it’s abilities; I almost exclusively listen to the music made by Sugar for Steven Universe, while there is a ton of fan-made music for the show, along with music from all levels of creators all over the place. I still have a lot of exploring to do. But for now, Steven Universe. I usually listen to the full stream of music with and without lyrics, but I have been considering making a playlist of just the songs with lyrics, because I often skip the instrumentals. But now and then, when I’m doing work, reading, or writing, the instrumentals are nice because I don’t have to concentrate on the words, and can get my own out, onto my keyboard. I just appreciate the ability to make playlists! This is my favorite song from the series so far, and even if you haven’t seen the show, you should listen to it. It’ll make you want to watch the show, which is something you should be doing anyways. 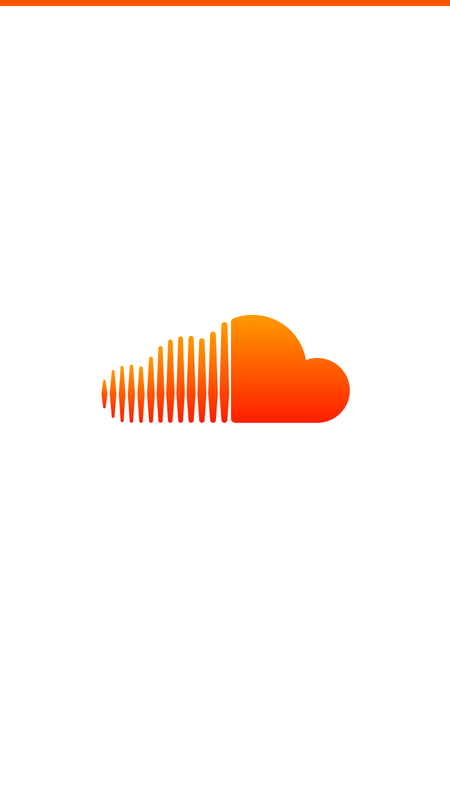 Honestly, if you don’t have some sort of music-streaming app on your phone, and it’s capable of having one, get SoundCloud. There are no advertisements, it’s free, and has a lot of really great music! Plus the Steven Universe music is on it. There’s so much to love!